Home » News » New Lizard for REGUA! REGUA’s Keeper of the Wild ranger Rildo da Rosa Oliveira funded by the World Land Trust found this banded lizard on the red trail at around 600 metres above sea level. This lizard has very short legs and if were not for the scales on its body, one could mistake it for a salamander, but salamander are not currently known to be further south than Roraima, Northern Brazil. We had help to identify this individual from Canada’s naturalist Mike Patrikeev who stated it was Banded Galliwasp, Diploglossus fasciatus of the Anguidae family. Indeed this example measured close to 30 centimetres in length, and Rildo said that in all his years as a ranger, he had only once seen this species before. 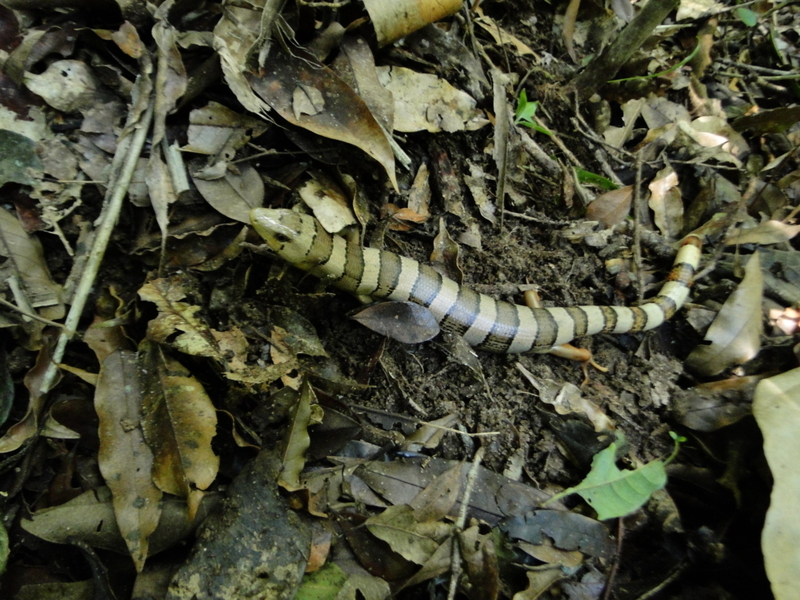 There is a similar Banded Galliwasp (Diploglossus lessonae) endemic to Brazil’s Northeast region, rated “Least Concern” by the IUCN, but I wonder whether it’s Atlantic Rainforest cousin is as common? In fact, we all wonder when we shall see another one.